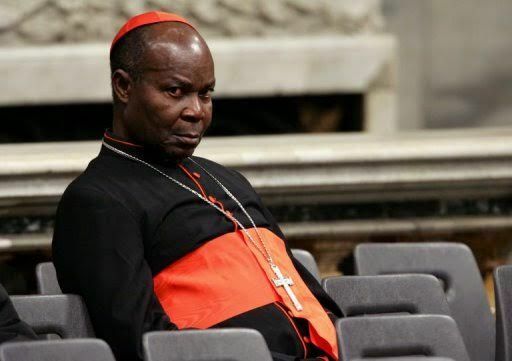 Catholic Archdiocese of Lagos, Cardinal Anthony Olubunmi Okogie, has reacted to Pastor Adeboye’s statement on opening churches everywhere in the country. According to the patriarch who described such branches as “mere business centres,” there is no Godliness in the decision by some churches in the country to have as many branches as possible and planting churches in close proximity. He said;“In order to bring us together and to get sanity back into this country, the fear of God must be number one. Nigerians of today don’t care a hoot about God. For example, I heard that one of my colleagues, (Pastor Enoch) Adeboye, said that he would love to build churches everywhere so as to make it easy for worshipers to walk to them. But for me, that is a useless statement. How can you say you will build churches everywhere? What kind of churches are you talking about? “Look at traffic in Lagos for example, and those who are pastors are traders and a good number of them are business men. Such churches in most cases are more like business houses! “Look at the number of churches springing up in Lagos. If the Muslims start building mosques like that, does it show that Nigeria is a religious country? Every day we hear of killings and other things that we were not hearing before. “We can’t even walk on the streets freely. You have to be watching yourself left, right and centre to know who the man coming behind you is. It wasn’t like that before. Churches must ensure that there is fear of God. “And I’m just telling you that those churches that he is talking about are just business centres. They rented houses and in order to make more money, they license them. They pay their dues to the bosses in the churches, every one of them. Some of them, I have three or four examples, they can’t pay their own house rents. Yet every Sunday, they gather in the house there and say they are opening churches. “The landlord there says; ‘give me my rent, if you can’t pay then get out.’ You see the trouble? Whereas people who can pay who are really, sincerely looking for houses to rent can’t get any to rent. These are some of the things. One must think twice; and I don’t think that God wants us to serve him with force” he said. NewsTelegraph’s effort to reach RCCG’s Assistant General Overseer, Pastor Johnson Odesola, proved abortive. However, his Public Relations Officer at the Throne of Grace Headquarters of the church, Pastor Ola Akinsola, said that he cannot speak on behalf of RCCG. “Pastor Odesola is the person empowered to speak for the church. Just send him a text, and then call him later. A highly placed female member of the church, however said it is not true that RCCG branches are business centres. “That is not true. They have never forced anybody to give money to God. It is when worshippers see the glory of God, that is when you know that this church deserves this. Nobody will force you to give offering. “There are some people who do not go to church but when they listen right inside their homes, from there they can give their lives to Christ. When a church is within a walking distance, people can easily walk in there to worship without stress,” she said.